YouTube is the #3 most visited website in the world. It has more than 1.3 billion users and every minute, there are more than 300 hours of video uploaded to YouTube. Not only that, it gets well over 300 million visitors per day and people watch almost 5 billion YouTube videos every single day. This is a staggering statistic that represents a huge industry and also a vast potential to make money and become the next YouTube millionaire. What is more exciting is that the growth of internet users and people who prefer to watch online videos are still on the rise. The statistic shows that on average, there are 1 billion YouTube video views on mobile alone each day. We all know that there are still plenty of people do not have access to the internet and smartphone has made the accessibility easier, faster and more convenient these days. That means if you want to be a YouTube millionaire and make money from it, it is not too late and the timing is just right. Lucas Speed Eichorn Watson used Speedyw03 as his channel name on YouTube. He is well known for his GTA, CS: GO and Call of Duty videos. As of today, Speedyw03 has acquired more than 6 million subscribers and is famous for his comedic and funny style videos in the gaming industry. This Canadian born YouTuber is best known for his Minecraft gameplay videos. His real name is Mitchell Donnell-Ralph Hughes and his channel, TheBajanCanadian has over 6 million subscribers. Michell has been praised for his skills on Minecraft: Survival Games due to his ability to give commentary and do parkour simultaneously. Seán William McLoughlin is the guy behind the channel name Jacksepticeye, born in 1990, this Irish YouTuber creates video logs and also upload gaming videos on his account since 2007. He has a large number of followers of 16 million subscribers and known for his energetic and distinct commentary. Germán Alejandro Garmendia Aranis also known as HolaSoyGerman in YouTube, is a famous celebrity, an entertainer, a blogger and also a comedian and a Spanish YouTuber. His videos mainly focus on common teenage and adult issues that occur in his life. In 2017, he has earned 32 million subscribers in his main YouTube channel, making him the second most subscribed YouTube channel of all time. His videos have been viewed more than 3 billion times in total. Guillermo Díaz was also known as Willyrex or simply Willy in YouTube is a Spanish YouTuber. He was born in 1993 and his videos are mainly focused on gaming such as Minecraft. He has worked with some other famous YouTuber like Vegetta777 and also LuzuVlogs. Today, Diaz has earned over 12 million subscribers in YouTube. Tobias Joseph Turner, also known as Toby Turner is famous YouTuber using the name Tobuscus. He is a comedian, a gamer and also a vlogger. He is running and managing 3 channels with combined 15 million subscribers and over 3.6 billion views. Tobuscus is the 35th most subscribed channel on YouTube, with over 6.3 million subscribers. The guy behind Markiplier is Mark Edward Fischbach, who was born in 1989, is an American YouTuber that focuses on horror gaming such as Amnesia and Neverending Nightmares. His in-depth style of gameplay commentary and unique deep-toned voice has made him 18 million subscribers and owning a very successful YouTube career. TheFineBros is managed by Benny Fine and Rafi Fine, two brothers who are known for their successful productions of react videos series such as Teens React, Elders React, and more. Their channel has received more than 2 billion video views and over 16 million subscribers. They also launched their second channel under the name TheFineBros2 in 2009 and quickly gained about 600k subscribers. AdamThomasMoran is a YouTube channel in the Russian language, and the creator is Maxim Golopolosov. Max started his Russian video channel AdamThomasMoran in 2010, but today, he has also included an English channel to serve his English audience. He has about 8.4 million subscribers to his channel to date. Adam Dahlberg is the person behind SkyDoesMinecraft. He is a Minecraft YouTuber and was popular for calling the Minecraft item gold ingot “budder” and for hating the Minecraft squids. He has 11 million subscribers to his channel and has also sung the song ‘New World’ as the Minecraft parody. Boyce Avenue is an American rock band formed by the trio, Alejandro Luis Manzano, Fabian Rafael Manzano and Luis Manzano. They started their own record label named 3 Peace Records and releases music, songs, and covers on YouTube. The trio has also worked with other celebrity YouTuber such as Hannah Trigwell, Alex Goot, David Choi, Tyler Ward and more. Their videos have been viewed more than 3.4 billion times on YouTube. Ryan Higa is the person behind the YouTube channel NigaHiga. Ryan started his accounts back when he was 16 and he uploaded his comedian style videos and got famous. He is known for his ‘how to be’ series of funny videos and gained recognition from media such as being nominated for choice award shows and listed on Forbes’ list as a young and influential star. His channel has 20 million subscribers. ERB also known as Epic Rab Battles, is a YouTube channel created by Peter Shukoff and Lloyd Ahlquist. They created series consist of famous pop and historical culture figures and battle against each other in a rap song. Their channel is the 27th most subscribed channel on YouTube and has completed 5th series of rap battles. Jordan Maron is the one who created the account CaptainSparklez and he is an American YouTube gamer. Jordan is famous for his Minecraft parody videos and he focuses on the gaming industry plus filming reaction videos. To date, he has uploaded more than 3,500 videos to his channel and accumulated more than 10 million subscribers. CollegeHumor is a channel owned by IAC or Inter Active Corp and they have been uploading many popular comedy videos to YouTube. CollegeHumor’s website started in 1999 by two high school friends and the website quickly gain popularity. Their YouTube channel has reached more than 5.5 billion views and over 11 million subscribers. CollegeHumor is known for its original comedy style videos and has been nominated for various awards. Real Annoying Orange YouTube channel was created by Dane Boedigheimer in 2010 and is ranked 8th most subscribed channel of all time. The channel has over 6 million subscribers and over 4 billion video views. The success of the Annoying Orange series has also become a subject of a video game, TV series, costumes, T-shirts and also a range of toys. Created by Zoe Elizabeth Sugg, a British YouTuber who creates videos based on her beauty-guru lifestyle. Her channel has over 11 million subscribers, has produced two novels and owned the rights to ‘Girl Online’ franchise. Apart from that, Zoe also created her own beauty line called Zoella Beauty. Ray William Johnson was born in 1981 and is a famous YouTube celebrity. He became famous after the launched of his YouTube show called “Equals Three”, where he produces funny commentary on viral videos. Currently, he has over 12 million subscribers and has been reported earned over $4 million dollars annually. James Richard Wilson is the guy who created UberHaxorNova. He is an American YouTube commentator, a gamer and also a comedian. James’ videos have more than 3 billion views and he is also a member of TheCreatureHub, where other YouTubers who specialize in games come together and play various games. He has also started other channels such as CowChop and NovaPipeBomb. Jenna Marbles is one of the most popular YouTube channels created by Jenna Mourey. She was shot to stardom with one of her videos, “How To Trick People Into Thinking You’re Good Looking”, which received more than 5 million views in the first week after uploaded. Today, she has over 14 million subscribers, more than 1.7 billion video views and was also featured on ABC News and New York Times. Smosh is a famous YouTube channel based on sketch comedy that was founded by Anthony Padilla and Ian Andrew Hecox in 2005. To date, they have created multiple Smosh-related accounts and channels to include gaming, French-subtitled, animations, and also Spanish-dubbed videos. Smosh is one of the most popular media empires, has over 22 million subscribers and is considered the 12th most subscribed channel on YouTube. The BluCollection YouTube channel is a mystery because the creator of the toys videos did not reveal himself and offers only minimal commentary. The videos combined have received more than 2 billion views only focusing on toys and most of the audience is children. The tactic BluCollection used is simple and effective. Currently, many toy brands and companies wanted to work with and endorse BluCollection, but he chooses to remain anonymous. Yogscast was founded by Lewis Brindley in 2008 and since then, it has grown tremendously and gained popularity in the gaming industry, especially with World of Warcraft and Minecraft. Today, Yogscast is managed and ran by numerous YouTubers and the channel has maintained consistent viewership. The channel has grown into a big company with staff to help making it one of the best and most profitable YouTube channel in the world. The Funtoys Collector channel is previously known as DisneyCollectorBR. The person behind this channel remains a mystery because she has never revealed herself. The videos she created were based on toys, especially Disney toys. Her videos include unboxing, putting the toys together and playing with the toys. Her videos have received billions of views and could easily be one of the richest YouTube millionaires in the world. Felix Arvid Ulf Kjelberg is the guy behind the famous YouTube channel, PewDiePie. Some reports showed that he is the one who earns the most as a YouTube millionaire, earning more than $12 million annually. Felix creates commentary gameplay videos and has received more than 5 billion views on all of his videos. It is estimated that he earns more than Cameron Diaz or Gwyneth Paltrow in 2015. His most popular video gets about 70 million times of views and making him the top YouTube earners in the world. Now, after getting to know all the YouTube stars who have earned more than a million dollar a year, do you inspire to become one? Well, most people do. The answer is simple, who does not want to be the next PewDiePie, making millions of dollars while enjoy playing games the whole day? Who does not want to earn a million dollar through unboxing toys and playing with those toys? Chances are, every one of us stands a chance to make a living as well as becoming a YouTube millionaire, but how? Before you can become a YouTube millionaire and rakes in money from your videos, you must first understand how you can make money from YouTube. One of the simplest ways to make money from YouTube is through advertising. It works just like Adsense. Whenever people view your videos, YouTube will show advertisements from publishers to your viewers. And from there on, whenever people view your videos and the ads shown to the viewers, you will get paid a portion. For instance, an advertiser may pay $20 per thousand impressions or CPM, and YouTube or Google will take a portion, usually 45% of the ad revenue before they distribute the rest to you. Meaning to say, if your video successfully showed 1,000 times of the ads to viewers, you may earn about $11. However, this does not mean that you will definitely make $11 from 1,000 views from your video. This is because YouTube will not show advertisement every time whenever someone watches your video. Plus, the $20 we used is just an example, it can be more or it can be less, depending on which industry you are in. So now you have an idea how YouTube millionaires are able to rake in millions of dollars from their videos. It may sound easy, but it is not. However, it does not mean that it is not doable. Here are 7 simple step-by-step method how you can start making money from your YouTube videos. A channel is like your personal presence on YouTube. If you already have a Google account, you don’t have to do this. If you don’t have a Google account yet, just head over to YouTube.com and create an account. Each YouTube account is associated with one channel. In addition, whenever you create a YouTube account, you will be given access to other Google products and tools such as Gmail and Drive. When you create your channel, remember to navigate to the advanced option and key in relevant keywords to your video content under Channel Settings. It will be easier for people and Google to locate you whenever your keywords are relevant to your videos. Try to use short and easy to remember username if possible. If you want to use an existing account, you can change your username by editing it on your Google+ account. Now, depending on what kind of videos you want to upload and show to your audience, your videos can be both long and short. More importantly, go for high-quality video content. People will leave and stop watching your video if the quality is blur or you try to take the video from a dark place. It is alright if you are not doing it right the first time. You just need to try more, practicing more, uploading more and you can become better at it. Practice makes perfect. Always aim to improve your content by investing into tools such as a better camera, a drone, a tripod, a monopod, get a friend to hold your camera or using a gimbal. Learn to use software and programs to enhance the quality of your videos. Sometimes you need to add subtitles if you are doing the commentary, and sometimes you need to make your video pictures brighter or to add in the watermark. Building your own audience through YouTube channel is like building a blog. Your content is your video and you must be consistent with it. Try to stick to regular and consistent publishing schedule if possible. People will more likely to subscribe to your channel when you are consistent enough because they are expecting something fresh and new from you. Make sure you tag and describe your video content with relevant keywords. Make sure people understand your description and know what you are trying to present to them. If your keywords are good and relevant, chances are that people may find your videos through YouTube searches. When it comes to making money from YouTube, there is no way to get around building an audience and gaining traffic or views to your videos. You must learn to market and promote your videos. There is no point to create a good quality video that you think people will love, but only to find that there are no people to watch it. Remember who your target audience is, understand what they want. If you are trying to target audience who is looking entertainment, make your video interesting and share-worthy. Keep uploading video content and get people to love your productions. Don’t forget to share your videos to other social media such as Twitter and Facebook. If you don’t want to share your own video, nobody will. Distribute your videos elsewhere on the internet. Whenever other people share your video, you will get the additional views and marketing you want. This is especially true when other authority figures or websites grab your video and share it with their fans. You will see a huge traffic increase and this is what you want. And always interact with your viewers. Reply to their comments whenever possible and build a relationship from there. One of the secrets how PewDiepie able to get such a huge following is because he used to reply to comments and interact with his audience from time to time. Once everything is ready, it is time for you to monetize your videos. In order to earn the advertising revenue from your videos, you must first enable the monetization option. This simply means that you allow YouTube to place and show ads on your videos. Whenever someone watches an ad, you will get paid. First, log in to your YouTube account and go to “My Channel”. And then go to “Video Manager” on the top. Next, click your channel and choose Enable monetization. You will start to monetize your video once the “Monetize with Ads” box is checked. And to monetize a video you have uploaded, just open your “Video Manager”, click on the “$” sign on the video you want to monetize, and then check the box. The YouTube advertisement functionality is the same as Adsense. And you need to set up for an Adsense account. If you already have an Adsense account, you can link it with your YouTube account. If you don’t have an Adsense account, create one. Your payment will be through Adsense. After you have uploaded your videos, share them, and monetized them, you want to know how they perform. You can do this by checking the performance through analytics. In your Channel menu, just click and go to Analytics. You can see the estimated earnings, ad performance, video views, demographics and more. Of course, you want to use this information available to you to better understand your audience and how you can improve your future video content. The key is to create video content that will resonate with your viewers. When your viewers like your content, they will share it and recommend it to their friends either through YouTube itself or posted it somewhere in other social media like Facebook and Twitter. It will be difficult to achieve celebrity status if all you got is just a video on your channel. 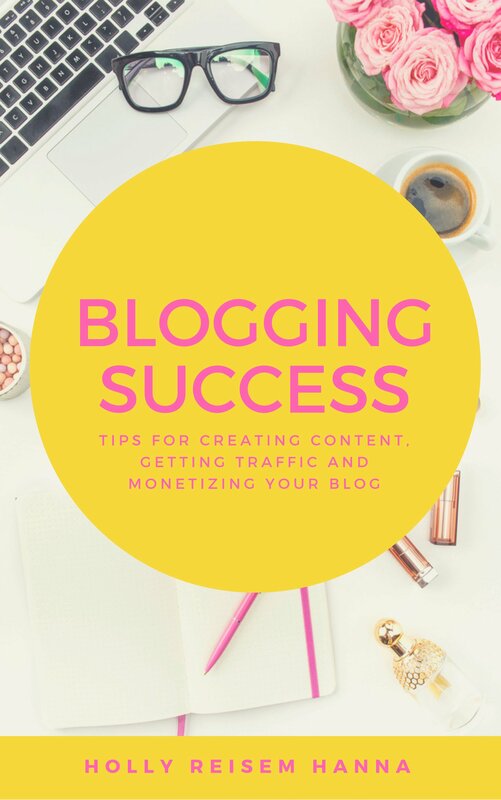 Just like blogging, it is near to impossible to become a successful blogger earning millions of dollars from having just one article on your blog. The same goes to your YouTube channel. Think of your YouTube channel as a real TV channel. You need to put in many videos in the same niche to attract an audience. First, learn to create great video content that your viewers craved for. Why do people want to view your video? Always keep this question in your head when you are creating your video content. Your viewers are your most important asset. Without people viewing your videos, you will never be successful with YouTube. Create a hook in your videos that catch your viewers’ attention. And include your own style to build your fans. Next, learn to promote your videos. Most people spend most of their time creating good video content, but they never spend time promoting them. They thought that as long as they create it, viewers will come automatically. Wrong, it will never work this way. The statistic shows that there are more than 300 hours of videos being uploaded to YouTube every minute, so how can you compete with others who are doing the same? You can win the competition and become the next YouTube millionaire by creating unique, valuable video that your audience appreciates, and market those videos better than your competition. When one of your videos goes viral, you will quickly gain viewership, subscribers and more importantly, die-hard fans that want more of your videos. We have to face it, making money from YouTube advertising can be hard, especially in getting millions of views to your video content. It is not easy to hit a million views on your video. So how can you become a YouTube millionaire? Well, if you can attract millions of views to your videos and that will be great. However, there are many other methods how you can earn from your YouTube videos, not just through advertising. And below are some great examples how you can do this. Do you know that YouTube is just a platform or a medium that you can get traffic from? You can promote other people’s products through your YouTube videos. It is challenging to get a million views, and sometimes, the advertisement revenue from YouTube can be low. Imagine earning only $3 for a thousand views, how discouraging. Things will be different when you sell affiliate products. What you need is a targeted audience rather than getting floods of the less focused audience to watch your video. You can earn $50 from an affiliate sale with just 500 views of your video. Of course, your video must be targeted and aimed at the right audience to do this. More and more people are getting into e-commerce these days and it is easy to set up an online store through Shopify. In fact, anyone can do it. Once you have created your store through Shopify, you can start selling your products through YouTube. You don’t have to rely on advertisement earnings from YouTube, you can make a profit through selling physical or digital products from your own website by using YouTube as a vehicle to gain traffic. This can be a very profitable technique to make money using the e-commerce concept plus YouTube. When your product is what people are looking for and your video is engaging, you can make a lot of sales from this funnel. Have you ever seen a sponsored article in blogs? You can do the same with YouTube videos. When you have built up your own audience, you can sell sponsorships or airtime directly from advertisers. The good news about selling sponsorship is that you do not have to give YouTube a cut and you can negotiate the fee that you desire. When you become good enough and you achieve certain popularity in your industry, people can approach you and request you to speak or perform for them, for a fee of course. Usually, this will only happen when your YouTube channel focused on a very specific niche or type of audience. When you become good at it and gain reputation, people will look for you and hire you for speaking engagements. Once you have become good at what you do and gained a reputation, people can approach you and wanted to hire you for your expertise. For example, you build a strong audience through your ‘how to train your dogs’ channel, people may search for you and ask for your help in training their dogs. You will then become an expert or a guru in your niche by teaching people what you know. You can sell your expertise and make money from selling premium videos or coaching. This technique is extremely popular in the information industry. People are willing to pay to learn how to use Photoshop, how to cook, how to bake a delicious chocolate cake, how to train their parrots, how to build a website and so on. It is getting easier to make money from YouTube. You do not really need to have a high tech equipment, just your phone that able you to record a video and an internet connection. This is why more and more ordinary people with creative ideas and persistence are able to become the YouTube millionaire. Furthermore, there are much more ways how one can actually make money from YouTube right now than it used to be. If you have thousands and thousands of subscribers, you can make money through selling advertising on YouTube, but if you don’t, you can choose to sell other products or your own expertise through it. All you need to commit is to take action and be creative. You must be consistent and come up with a clear goal to achieve. Anyone can become a YouTube millionaire and make a living with it.